"Well I can changed into my cat form so it wouldn't matter you wouldn't see anything except for a drench cat" she said as she followed him back to the room. Once they were in the room. she took the leaf out of her hair then lashed her tail about. "So would you rather I just bathe in my cat for?" she said with her head tilted to the side. "Are you sure you want to stay this close to my I mean I did just bit you what if I try bitting you for real I mean it going to hurt a lot more if I actually break the skin... she said as she flatten her ears against her head. "If I do bite you for real...your might not be able to go back to your human world....You will be stuck in this forest..." she said as she sighed softly. She the turn from him. She started coughing up her own blood. She hadn't taken any of Altair's blood. She wanted to but she didn't want him to get stuck in the forest. Midna nodded "Humans seem to be greed....the demons that feed off of human greed love it...Do you want to see a pretty part of the forest?" she said as she tilted her head to the side she took the the males hand. "There an old story about this certain part of the forest it's sort of interesting. she said with a soft smile. "No, it is your choice. You bathe however you are comfortable. They gave us a few curtains, and we can just put those between the desk and the tub, that way I can't see you. I won't be paying much attention anyway. I need to clean my armor." "I do not mind. There isn't much for me back in the human world anyway. I have no family, no friends really, just the brotherhood, and they have nothing for me to do at the moment. They are giving a lot of the assignments to other Assassins." "Sure, I would like to see a different part of the forest, but it'll be hard to surprise me, because I have seen almost all of the forest in the area. I explore it a lot, and did a lot when I was a child too. My friends and I would play hide and seek in the forest a lot. We used a huge part of it because we learned not to be afraid of the forest." Nami nodded then thought for a moment. I'll just wash in my cat form beside you just said you wouldn't notice" she walked the area with a tub got the water. She smiled softly as she watched the tube fill up. Once it was full she slipped in and washed her fur. Once she was done she soak in the warm soap water. Once she felt clean she rinse then got out. She jumped into a towel she had place on the floor. She then started rubbling up against it to get dry. Once she was completely dry she walked over to the bed and jumped then looked over at the male. Azami smiled faintly. "Okay I mean you may still be able to go back I guess I don't know...I've never bitten a human ....I just know no good comes out from demon bites." she said as she as looked at the male. She then lean close to him she pushed his hook off then bit down on his neck this time she broke the skin she started to drink the male blood. She took quiet a bit she then force herself to pull from his neck. Her wounds heal but she was still very weak she need to rest she was sure Altair probably felt the same since she had drank quiet a bit of his blood she lean against the tree and then pulled the male into her arms. She held him close started to stroke his hair. "I can't move the house yet but after we rest a while there a small hidden cave we can go hind in for tonight it isn't to far from here" she said as she looked down at the male. She blushed softly as she lean down she kissed the male softly on the lips she figure he probably wouldn't kiss back but she wanted to thank him for helping her. "No this part you haven't seen...it very hard to find" She led the male out of the cave then took his hand then led him deeper into the forest. She led the male through a large cave that had glowing rock once they had gotten through that she took the male through a very fog area she then used her power to make some of the fog disappear once it was gone there was an area with streams and hills with very tall trees growing on the hills. In as far as the eye could see there were very large rocks that around the place long with the sound of running water. There was a water fall to far away. "Now you can't tell me you see this place because it's very hidden and it's very beautiful." she said with a smile. Ezio cleaned his armor while Nami was bathing, then stretched and sat it back down. He was tired, and it was getting very late from the look of things. The sun was gone, and most of the crew had gone to bed except for the night crew. The night crew watched the ship after everyone else went to sleep, making sure it didn't get off course and that nobody attacked the ship. Ezio opened the window a bit to let some cool night air in. Altair was surprised when Azami kissed him. The neck bite had hurt, but it still wasn't very bad. He ended up kissing her back. After they separated, he stretched and yawned. "We should probably find that hidden cave. That way we can actually get some sleep for the night without having to worry about any more Templars coming to track us down. They ruined the day once, I don't want them doing it again." "I have never seen this place. Is this always here, or can only demons see it? I have never noticed anything at all like this in the forest. There are some beautiful spots in the forest, but not really anything like this. It doesn't look like humans or the white man have been here at all." Nami was still in her cat form there was plenty of room for another person. Nami really didn't mind sharing the bed with him since all they would be doing was sleeping. The they didn't know each other to well but at least they were friends. Azami nodded helped the male up to his feet. She then took the male to the hidden cave to was talking about. It wasn't to far to where they were she didn't really want to get wet again but she didn't want to be out in the open. Once they had gotten to a thick patch of bushes she found small open then help Altair through once they were in cave she stumble over a chest. She sighed softly as she open the chest she found some pelt that they could sleep on. She lay them on the forest then took her kimono off it was soaked and need to dry. She wrapped her self in one of the extra pelt she did want to be in her under garments. "Humans can find it but there a demon that protect this place....so even if they try living here they probably get scared away or killed." she said as she step far into the land. "The water is so clean here you can drink it with out getting sick...there is also a spot where you can drink water they is actually cold... there also some red flowers that are neat to see...it's said that a demon bleed on them this demon loved a human.....kind of weird right?" she said as she step into the water. Ezio went over to the bed and laid down. He was tired. He ended up falling asleep fairly quickly. The smell of the night air and the sound of water hitting the ship helped him relax. He was very comfortable. Altair looked around where the cave. It was fairly small, but it was better than being out in the open, and it would keep them dry even if it rained and stormed. There were also trees right near the opening, so it was fairly hidden. "It is. I wonder who the demon and the human were. This area is interesting. It is a nice temperature here too. It isn't cold like it's starting to get in the normal forest. Winter will be coming soon, but here it doesn't seem like winter is even close to coming. There must be some sort of magic in this place." Nami woke up late the next morning. She changed back into her human form. She lashed her tail as she sat up. She yawn and stretched she then glanced over at the sleeping male. She smiled softly as she watched him sleep he seem so peaceful. She smiled softly then fell back to sleep facing the male. Azami smiled softly as she looked at him. "I'd stay close I think that Koori is going to make the weather change...so it's going to get very cold..." She said as she looked at him. " She pulled out all the pelt she figure they would use them all once she gotten some sleep she would use her power to warm her clothes but she need to rest first. She then pulled the male into her arms she keep him warm. She smiled softly as she kissed him again. She was happy to be with Altair. Midna smiled softly as she looked at him. "I think there names are carve one one of these trees...it should be the one that had the red flowers near it. she said as she looked around then notice something red far off in the distance. Ezio woke up to the sound of water hitting the hull of the ship. It sounded a bit louder than before. A storm was probably moving in. Luckily they would make landfall tomorrow. Then they could take the carriage the rest of the way back. Ezio hoped the storm would wait until then to hit. He yawned and then looked at the sleeping female. He smiled and kept laying down. Altair smiled and kissed Azami back, then held her close. He was not used to it getting really cold. He was always used to being hot. The cold would be something new to him, but it probably wouldn't be any worse than the heat. 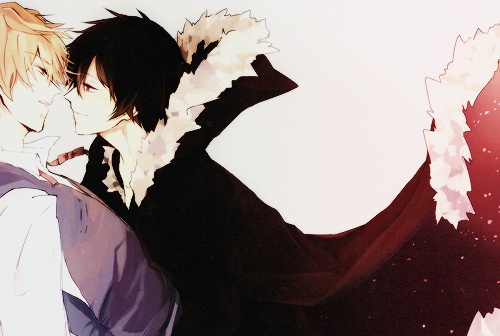 He had been a little chilly while they were at Azami's house, but it seemed like it was going to get much colder. Connor stopped and followed Midna's eyes. He wasn't sure what she was looking at, but he looked anyway. Nami eventually got woke back up she looked up at the ceiling then sighed softly as she made her way out if the bed. She didn't want to sleep all day but it sound as if was raining. She sighed softly as she sat on the floor. She wasn't sure what to do she lashed her tail back and forth. She could wonder around the boat but she didn't want to run into the male again. She open the door and peeked out she then slipped out the door closed it softly behind her. She changed into her cat form and began to looked around the boat. Azami snuggled close to the male. She didn't want him to get to cold since he never dealt with winder. She fell a sleep hold him close to her she hoped he would be warm enough. She woke up late the next morning. She shiver then slipped out from under the pelts. She used her power to warm and dry her kimono the rest of the way. She then put it back on then snuggle back up to Altair. Midna used her power to walked across the water. She made an icy bride she didn't want to get way even though the water look beautiful. She came to the tree with the red then looked around. "Azami and Altair... that right I've heard stories about them...demon loving a human...sadly there where not many like her...." she smiled softly. Ezio stood and followed Nami. He wasn't asleep, but she must have thought that he was. He could hear rain now, and the wind was making the water a little rough. It was late morning from the look of the outside, but the clouds made it seem darker than it actually was. He wasn't sure what time it really was. Altair pulled Azami close when she laid back down. He was cold, but it really wasn't that bad. He liked this better than the heat. At least he could use a pelt or more clothes in this. In the heat he had to take things off, and that could get awkward if he took too much off. Nami wonder up to where she was last night. She peeked out the door and watched the rain. She then tilted her head to the side when she hear meowing. She sighed softly as she crept outside. She listen peer over the side of the boat to see a small cat handing on the side. She reached down and grabbed the male. Midna shrugged as she looked at him. "I'm not sure what they were but I just knew they were in love." she said with a sweet smile. Ezio went over to the front of the deck, looking off into the distance. The rain was moving in, and would pick up very soon. What was falling now was a light rain compared to what would be coming. The wind wouldn't be far behind. "I am not sure about that. It would have to be somewhat far away from where it was before, otherwise they will be able to find us again. We don't want the same thing to happen as last time. They will not give up. The Templars don't like letting Assassins get away, especially not two of us." "Well, it is very interesting to see that. So, this part of the forest, does it normally get cold? Or is it usually pretty warm? I know the snow back in the normal forest can get very deep in the winter. The air gets very cold." Nami sighed softly as a she carried the male kitten back in side. She hoped no would notice her cat ears and tail. She walked back to the room then notice that Ezio was gone. "Yes that is true....Do not want that to happen again... I think I know a spot it not to far from here how about we go there that way we can get a fire in the fire place we will be a lot warmer...but you should take on of the pelt to keep wrapped around you. she said as she slipped out side. She then pushed some of the snow out of the way then lead the male to where she was talking about. She found a spot that had a good size hill it was surround by trees. She then used her powers to make her house appear she also made it a bit bigger she figure the male would want his own room. She the stepped in side then pulled the male in with her quickly. She had a bad feeling someone was coming. "I do think if we go far there apart that is frozen...it never thaws..." she said as she lead the male around until she stop she started at the strange old house that seem it been for centuries. "Do you want to go in side?" she said as she looked at the male.